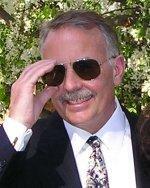 Bio Steve Sharrock is president of Stephen Sharrock Consulting, Inc (www.SharkCode.com). Steve is a Microsoft MVP and a veteran software developer with over twenty years of programming experience. Steve has been writing Web Applications and Web Services using the .NET platform since the early beta days in 2000. Steve lives in the San Francisco Bay Area. When he is not involved with his consulting business or speaking at a local user group, Steve is an avid inline skater and can usually be found on the skating trails around his community.